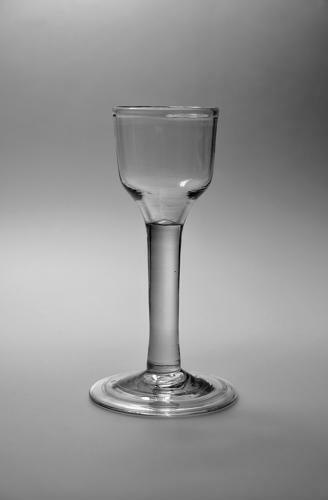 Plain stem wine glass C1760. Plain stem wine glass with deep ogee bowl and folded foot. English C1760. Condition: Very good with no restoration. A well made strong little glass.